I have a project "base" with a custom library e.g. "junit-4.11.jar" on the classpath. Therefore I can use the junit classes within this base project. In another project called "dependee" I have configured the "base" project as dependency. Therefore I can use classes (e.g. DataClasses) from the "base" project in the "dependee" project. But I can't re-use the classes from the third party junit library. Did I miss something? You can double check this setting in the raw .classpath file. The classpathentry of the thirdparty jar should have the attribute 'exported=true'. 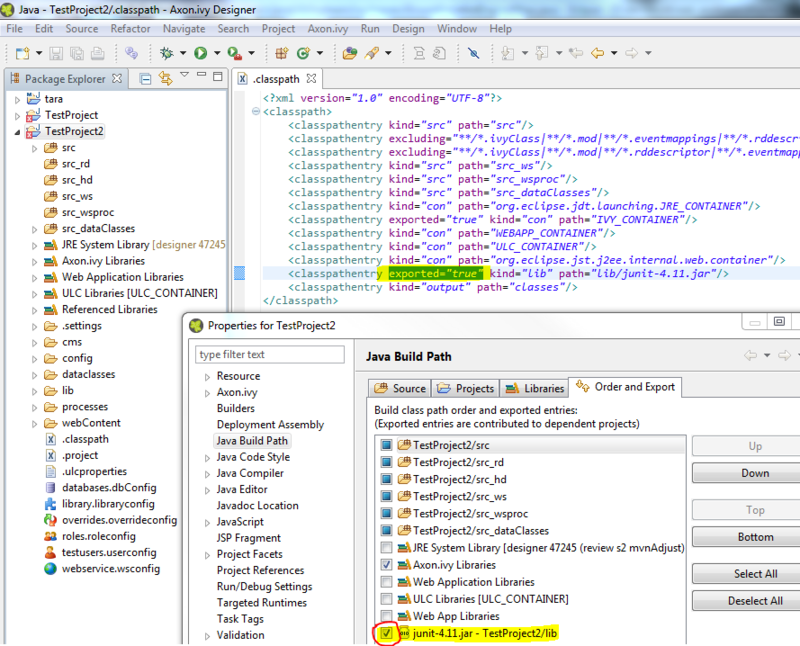 You have to add the library to the Java Build Path in your project. How do I find out from what .jar file my class gets loaded?